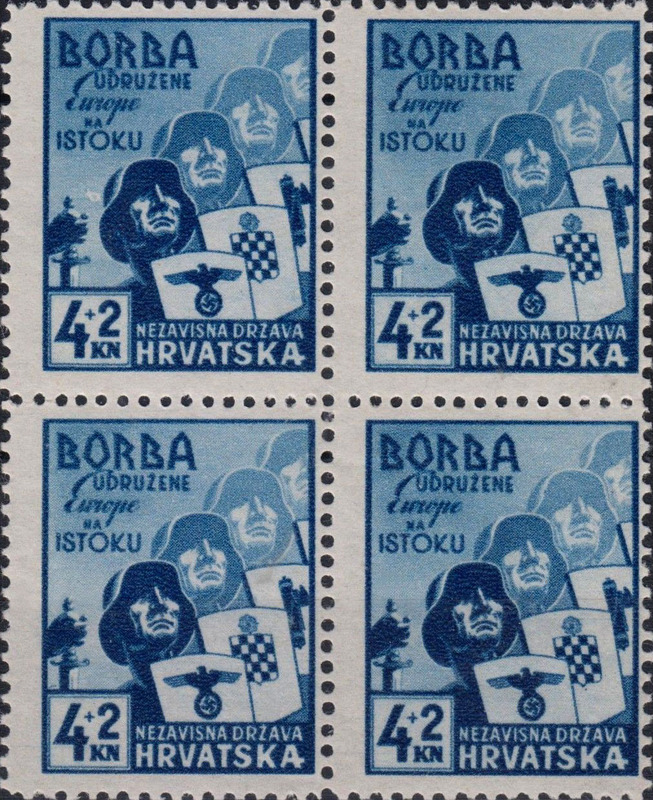 SCROLL DOWN TO SEE FURTHER EXAMPLES! 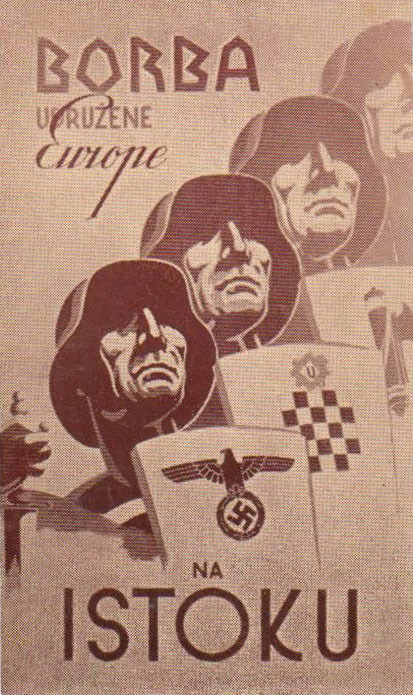 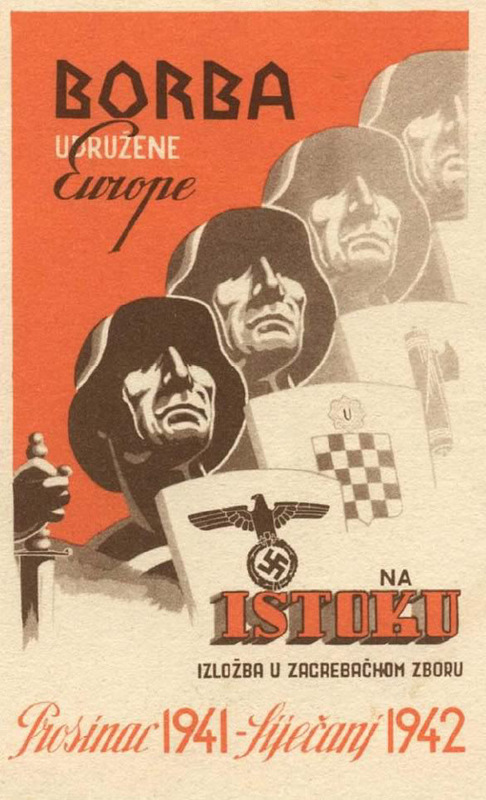 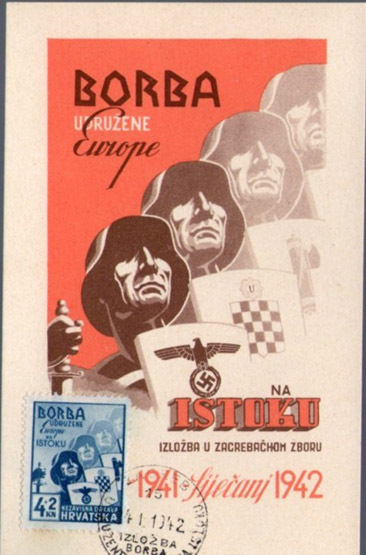 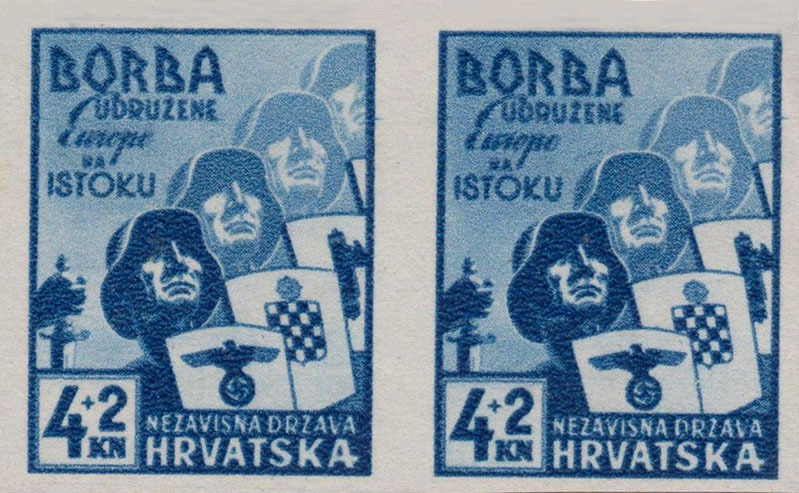 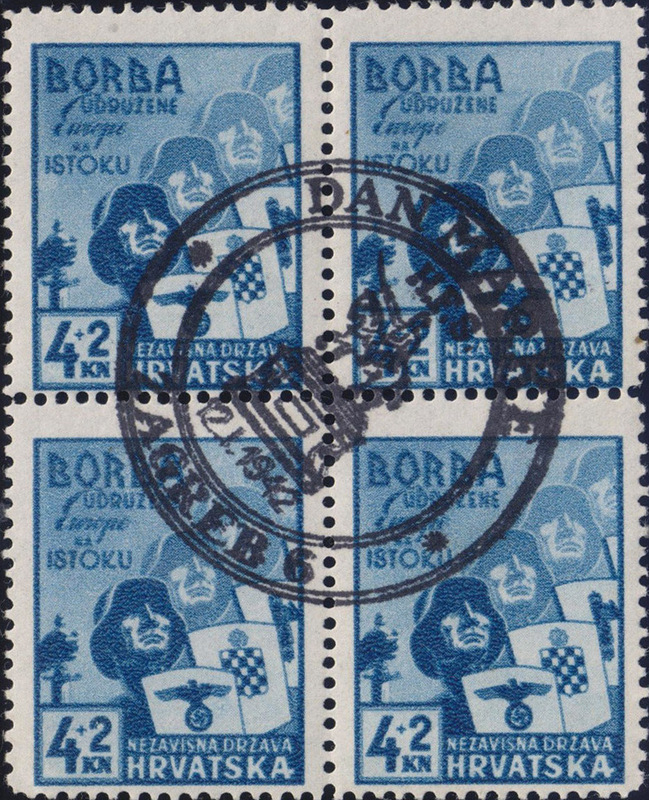 [Below: 'Borba Udruzene Europe na Istoku' which means 'The War of United Europe Against the East'. 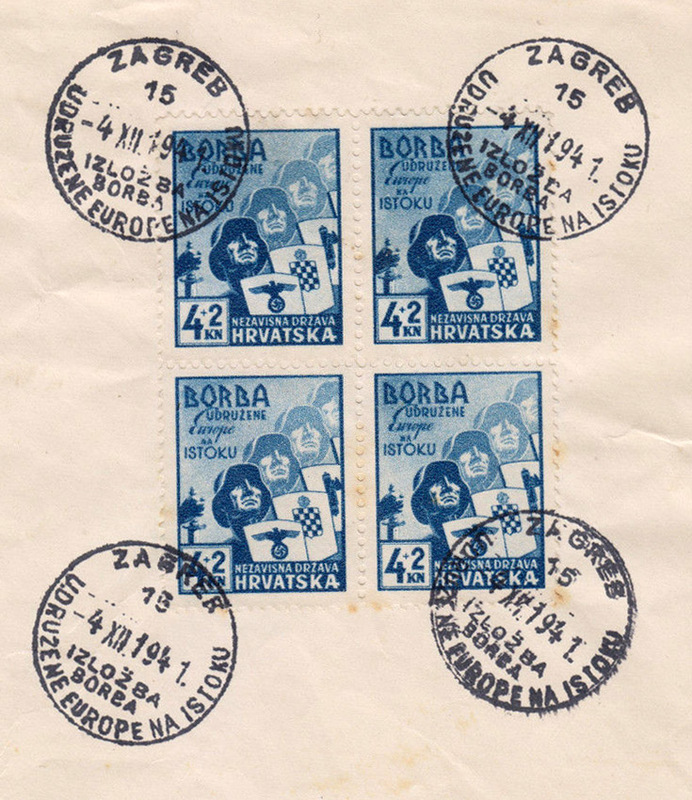 'Izlozba u Zagrebackom Zboru' means 'The Exhibition in the Zagreb Union'. 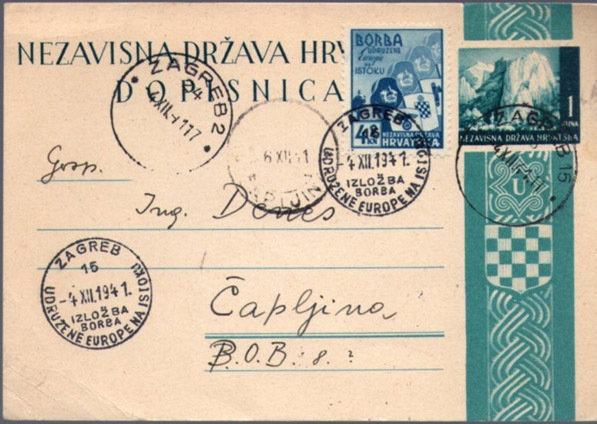 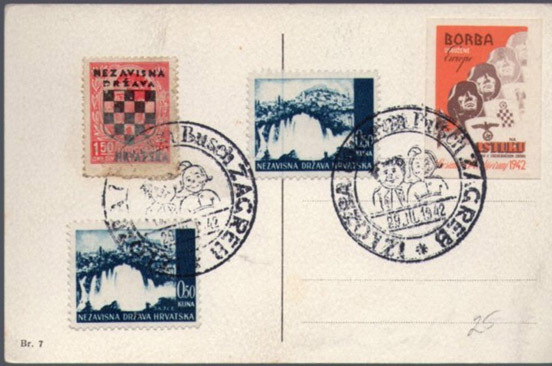 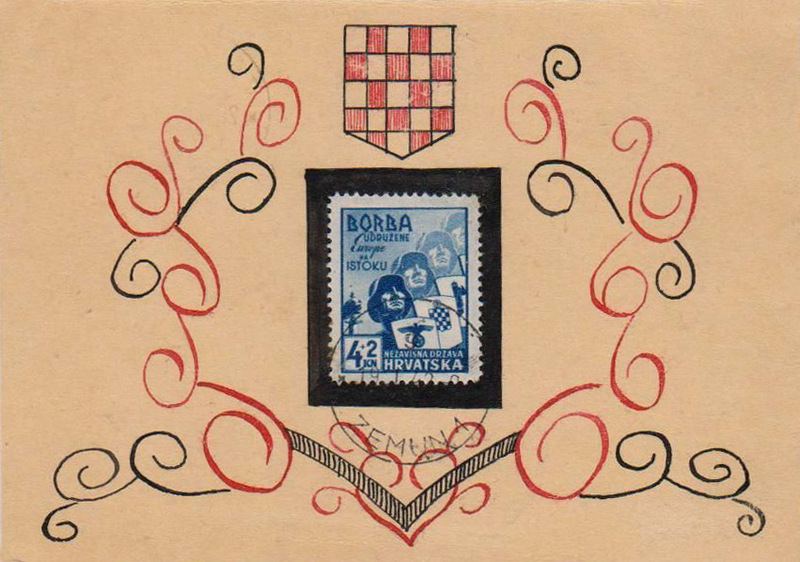 'Prosinac 1941 – Sijecanj 1942' means 'December 1941 – January 1942'. 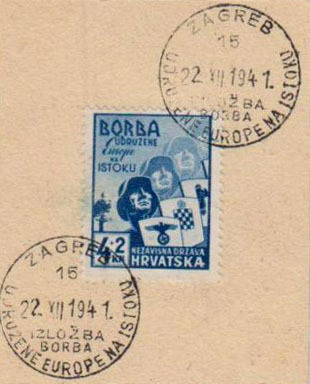 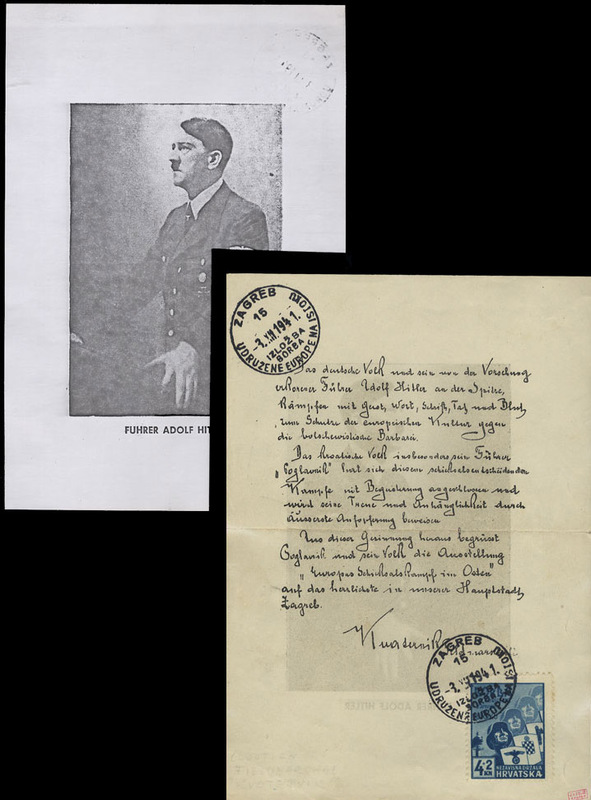 This is an exhibition card to promote the postage stamp to support the Axis invasion of the Soviet Union in 1941.